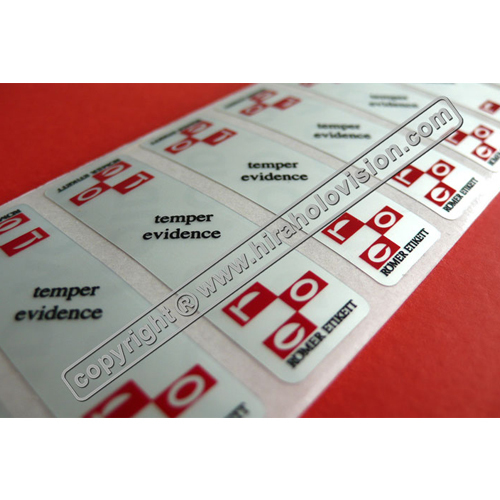 We offer Security Labels that can be custom-made on the basis of residue and layer security as per your requirements. When removed from application, low residue label leaves a very less or no residue behind. Whereas, a permanent residue is left behind on the removal of customized dual layer security labels. Low residue security labels should be considered, if you are looking for the labels that leave no residue. The offered product is made after the years of research and development by our expert professionals. Our labels are ideal for search and secure applications, aviation, manufacturing products and securing high end products & documents. The main advantage of this product is it does not damages the surface. Moreover, misuse of valuable parts under warranty, pilferage, identifying genuine material, approved or rejected material can be prevented by using these security labels. Leaving a void mark on the surface, these security labels cannot be prefixed. Furthermore, for added security, we offer the label with barcodes and serial numbers. Manufactured using ultra destructible material with very strong adhesive, this label is in compliance with set industry standards and norms. Once applied on any product, these security labels gets fragmented on removal. These labels are made with invisible printing and can only be seen under UV light. 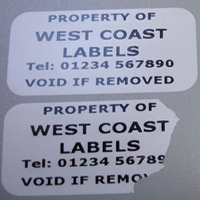 For meeting the variegated requirements of our customers, we offer a wide range of security labels. The Tamper Proof Labels detect and eradicate tampering of packed containers and unauthorized access. These labels are designed and manufactured in compliance with advanced techniques to ensure high authentication to products and brands. On tampering, these labels leave a background image to avoid duplicity and counterfeit. The businesses, which are afraid of tampering and theft, the labels provides excellent security with unique serial numbering. Wide range of other applications. 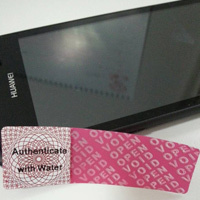 Security Labels for Phone is used to secure the phone identification and reliability. These are generally used on the back of the cell phone, on batteries, and sometimes inside the body where they cannot be visible. These security labels cannot be duplicated and we ensure the uniqueness of labels and no resemblance with any other label. We also provide customization as per the requirements of our clients.